We’re pretty passionate about pizza. Those New Year's resolutions are in full swing. How can your pizzeria appeal to calorie-counting customers? Our Nutrition Guide gives operators tips on how to position sides and salads as entrees for dieters, create sales boosters for calorie cutters, portion pies so customers can enjoy pizza that’s not topped with guilt, and much more! 30 years ago, our leaders turned their passion for pizza into a business we're still crazy about today. 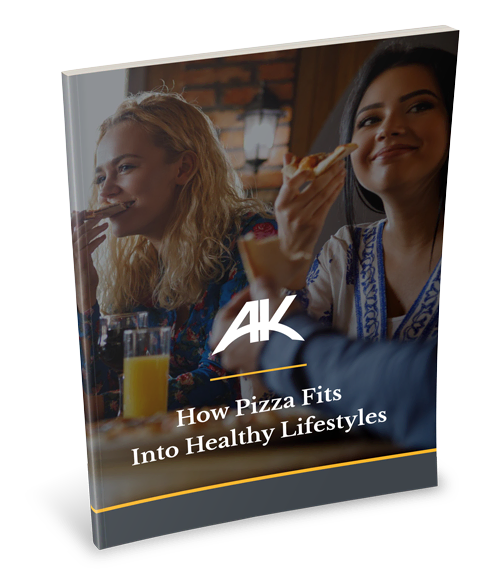 Alive & Kickin’ now sells millions of pounds of dough products every year and helps pizzerias, entertainment venues, delis, manufacturers and more deliver food customers love. Our customers come to us because they want to save time and effort; because they need ultra-consistent quality; and because their reputations depend on the flavor and texture of every pizza they sell. Can you relate to any of these challenges? Then check out our complete line of crusts and dough balls (along with some remarkably delicious sauces to top ‘em off).